International concert pianist Dr. Sarah Chan has garnered numerous awards including The American Prize in Piano Performance, “Rising Artist” honor of New York Concert Artists and Associates, and the PianoTexas International Competition professional prize. She has performed throughout America, Europe and Asia, including at Carnegie Hall Weill Recital Hall, Kennedy Center for the Performing Arts, Berlin Philharmonie Hall Kammermusiksaal, La Cité Internationale des Arts-Paris, St. James’s Piccadilly-London, Künstlerhaus-Munich, Sala Atenu-Romania, Merkin Concert Hall, Symphony Space Thalia Theater, Meany Hall for the Performing Arts, Beifang University Performing Arts Center, and Ningxia Normal University Concert Hall. As concerto soloist, she has appeared with the National "Mihail Jora" Philharmonic of Romania, Romanian State Symphony, New York Concert Artists Symphony, Manhattan Chamber Orchestra, Seattle Philharmonic Orchestra, Fort Worth Symphony, and Enid Symphony Orchestra. In the upcoming summer of 2019, Sarah Chan will embark on a performance-teaching tour in Ukraine. Originally from Hong Kong, Chan received her musical education in the U.S. and in France, training at the Eastman School of Music of the University of Rochester (D.M.A. ), Le Conservatoire National Supérieur de Musique et de Danse de Paris, Peabody Conservatory of Music of Johns Hopkins University (M.M), Manhattan School of Music (B.M. ), and the University of Michigan. Concurrent with her music studies, she pursued French and French Literature studies at La Sorbonne, Columbia University, and the University of Michigan, where she was recipient of the Wolaver Full Scholarship Award. Dr. Chan currently serves as Associate Professor of Music (Keyboard Studies/Music Theory) at California State University, Stanislaus. Since 2015, she has also been a regularly invited to China as a “Foreign Experts” artist-teacher-in-residence in Beifang University of Nationalities and Ningxia Normal University. Teaching awards in previous years include the Award for Excellence in Teaching at the Eastman School of Music and two nominations for the John Barton Award for Distinguished Teaching and Service while at Northwestern Oklahoma State University. 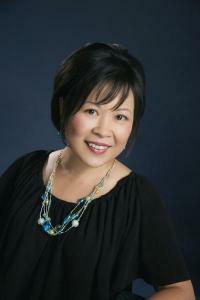 Highly sought after as a masterclass teacher and adjudicator, Dr. Chan conducted masterclasses in 2018 at the Shanghai Conservatory of Music, Ningxia Normal University, and the International Music Festival; she has likewise presented at Beifang University of Nationalities, Florida Atlantic University, University of Central Missouri, Oklahoma City University, Charleston Southern University, Erskine College, and Anderson University. Dr. Chan judges for The American Prize Competition, United States Open Music Competition, International Music Festival, Enkor International Music Competition, Crescendo International Music Competition, Frances Walton Music Competition, Classical Masters Music Festival, Steinway Junior Piano Competition, Zeiter Piano Competition, Ghiglieri Piano Competition, and competitions of the MTAC (Music Teachers Association of California) and CAPMT (California Association of Professional Music Teacher). Dr. Chan additionally serves on the CAPMT executive and district boards in service to the professional music community of California.